Gain the confidence required to apply CPR with this nationally recognised programme. The course prepares you with the skills and knowledge required to respond in a life threatening breathing and cardiac emergency. The course is aligned with the Australian Resuscitation Council guidelines along with meeting the requirements of Safe Work Australia Code of Practice for First Aid. Provide CPR is competency based training. After successful completion of the programme you will be awarded a Nationally Recognised Statement of Attainment for HLTAID001 Provide Cardiopulmonary Resuscitation. In line with Australian Resuscitation Council guidelines, Medic Aid WA recommends CPR training is renewed annually. Gain the confidence to apply basic emergency life support with this nationally recognised course. Provide Basic Emergency Life Support equips you with the practical skills and knowledge required to recognise and respond to life-threatening emergencies and manage casualties until the arrival of medical or other assistance. It arms you with basic first aid skills, including CPR in line with the Australian Resuscitation Council guidelines along with meeting the requirements of Safe Work Australia Code of Practice for First Aid. 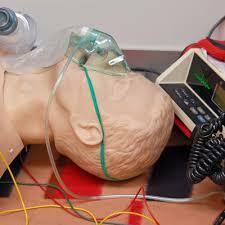 Provide Basic Emergency Life Support is competency based training. After successful completion of the programme you will be awarded a Nationally Recognised Statement of Attainment for HLTAID001 Provide Cardiopulmonary Resuscitation and HLTAID002 Provide Basic Emergency Life Support. In line with Australian Resuscitation Council guidelines Medic Aid WA recommends, CPR training is renewed annually. Gain your first aid qualification in our one day programme and become confident in your ability to provide first aid with this nationally recognised course. The Provide First Aid course provides you with the practical skills and knowledge required to recognise and respond to life-threatening emergencies including providing CPR, managing the incident and casualties in line with the Australian Resuscitation Council (ARC) Guidelines, until the arrival of medical or other assistance. This programme also meets the requirements of Safe Work Australia Code of Practice for First Aid, which recommends that first aid skills are refreshed every 3 years with CPR skills being renewed every 12 months. 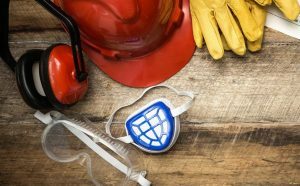 Meeting the requirements of Safe Work Australia Code of Practice for First Aid in the Workplace many businesses and workplaces require this level of first aid certificate. On successful completion you will awarded a Nationally Recognised Statement of Attainment for HLTAID003 Provide First Aid. The unit applies to educators and support staff working within an education and care setting who are required to respond to a first aid emergency, including asthmatic and anaphylactic emergencies. This unit of competency will contribute towards approved first aid, asthma and anaphylaxis training under the Education and Care Services National Law, and the Education and Care Services National Regulation (2011). This unit of competency has been approved by ACECQA and meets the requirements of “First Aid, Asthma & Anaphylaxis”. On successful completion you will awarded a Nationally Recognised Statement of Attainment for HLTAID004 Provide an emergency first aid response in an education and care setting. 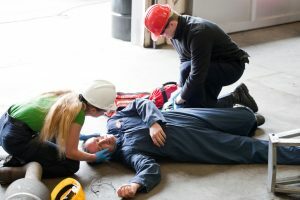 This course covers more advanced first aid topics, and will teach you how to manage an incident and other first aiders until medical assistance arrives. 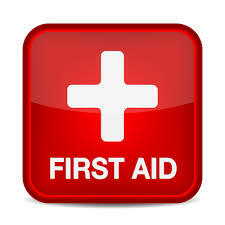 It is recommended for first aiders in medium to high risk organisations. 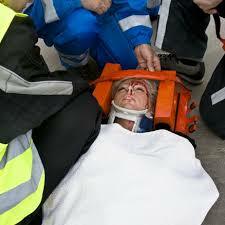 Provide advanced first aid is competency based training. After successful completion of the programme you will be awarded a Nationally Recognised Statement of Attainment for HLTAID006 Provide Advanced First Aid. 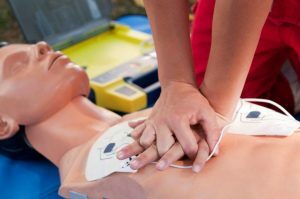 The Provide Advanced Resuscitation Techniques course is suitable for those who may be required to use specialised equipment, including oxygen therapy to provide resuscitation in an emergency pre-hospital situation, including, industrial, community and workplace settings. It provides the skills and knowledge required to respond to a life threatening situation, provide life support and management of casualty in line with the Australian Resuscitation Council (ARC) guidelines, until the arrival of medical or other assistance. Provide Advanced Resuscitation Techniques is competency based training. After successful completion of the programme you will be awarded a Nationally Recognised Statement of Attainment for HLTAID007 Provide Advanced Resuscitation Techniques.